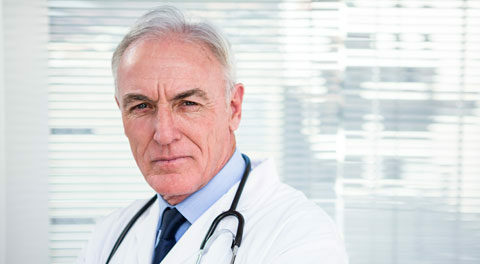 Medical sales reps can improve their closing ratios by using effective trial closes. A trial close is not asking for the business, but asking how the prospect feels or perceives something specific about what was covered in the sales conversation. Most medical sales reps I meet have a fear of coming across as pushy. It’s what prevents many for asking a customer to take the next logical step in the sales process. Other sales reps ask for the business too soon. Do this and you absolutely will seem like a pushy salesperson. Is this something you could see in your practice? Notice the key point: All you did was ask for information, something with which you should be very comfortable. If you receive a positive response, you can move to provide more information if appropriate, or ask for the next step: “Could we schedule an evaluation?” No pushiness is involved when a customer tells you he can see himself using the product. If the customer answers, “No, I don’t see myself using that” you know that it’s too soon to close. Don’t make the customer uncomfortable by asking him to do something he can’t see himself doing. Instead, treat it like an objection and explore the customer’s perceptions. You can jump right to an open-ended variation, such as, “Doctor, how might you use this in your practice?” Again, it’s respectful instead of pushy. You’ll either learn how he might use your product or find out why he won’t. If you’ve been following my teachings, you know that I only consider a sales call, a “good sales call” when you walk out with a next step or a solid “no.” The worst thing you can walk out with is a maybe. Maybes wear you out and give you a false sense of accomplishment. A maybe is nothing more than relinquishing control of the sale to hope, and that’s not what salespeople are for. With “no” or a next step, you know for sure if you’re in the game or not. “No” means move to the next product or the next customer and don’t get all excited about something that’s not going to happen. Very informative post before reading this post I was unaware of trial close but now I would like to say that it is an important trick to move forward in the sales cycle and without being pushy. Before reading this article I was totally unaware of trial close but after going through this article I would say that trial close is a important trick to move further in sales cycle.